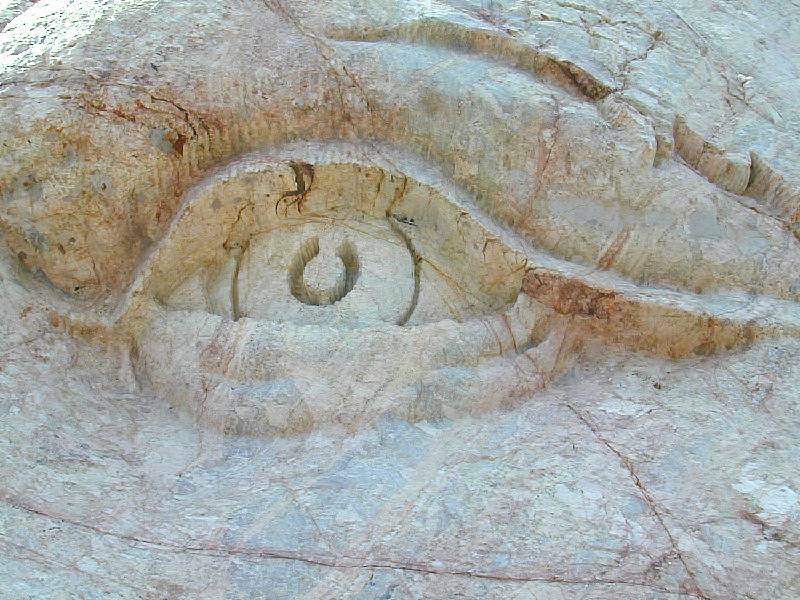 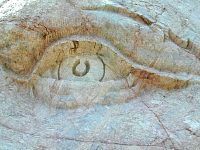 A closeup of the left eye of Crazy Horse from the top of Crazy Horse Memorial during the Volksmarch on June 1, 2002 in the Black Hills near Custer, S.D. 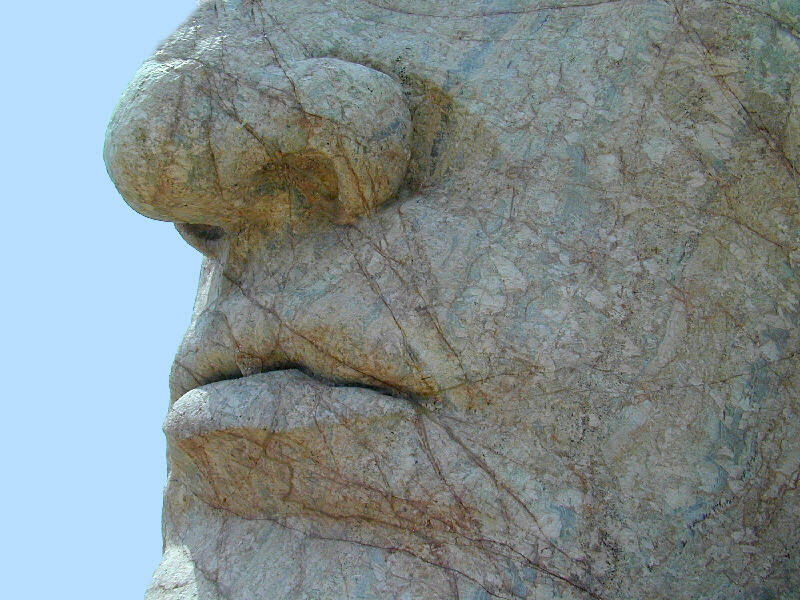 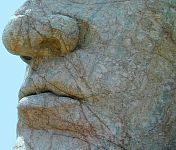 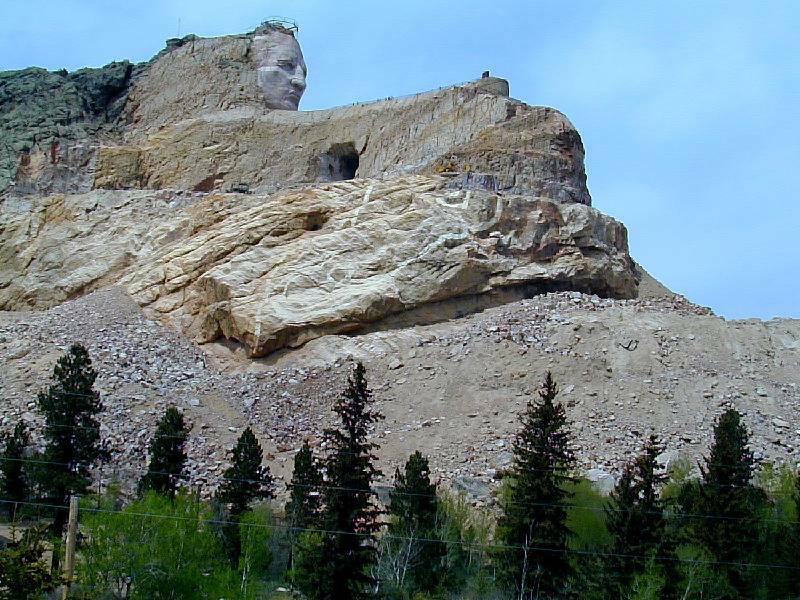 A closeup of the nose and mouth of Crazy Horse from the top of Crazy Horse Memorial during the Volksmarch on June 1, 2002 in the Black Hills near Custer, S.D. 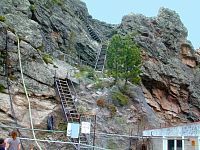 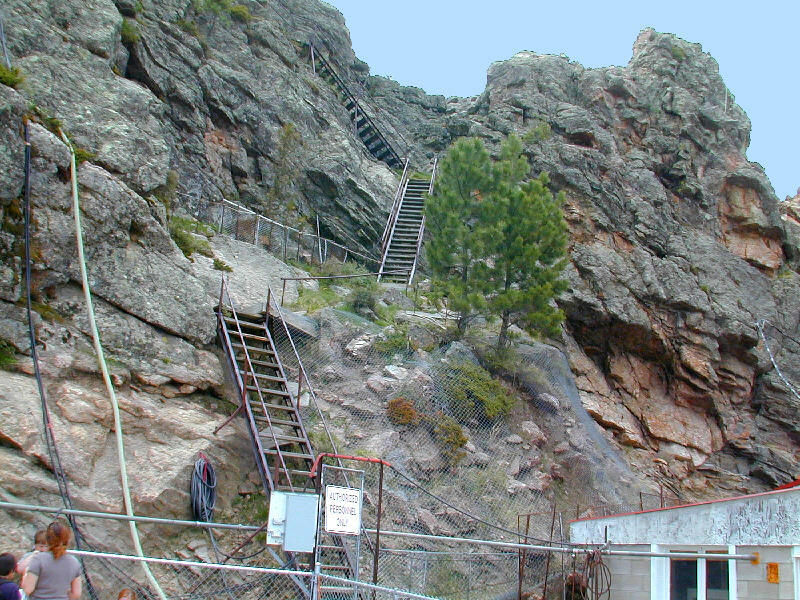 A view of the back, uncut portion of the sculpture and the access steps at the top of Crazy Horse Memorial during the Volksmarch on June 1, 2002 in the Black Hills near Custer, S.D. 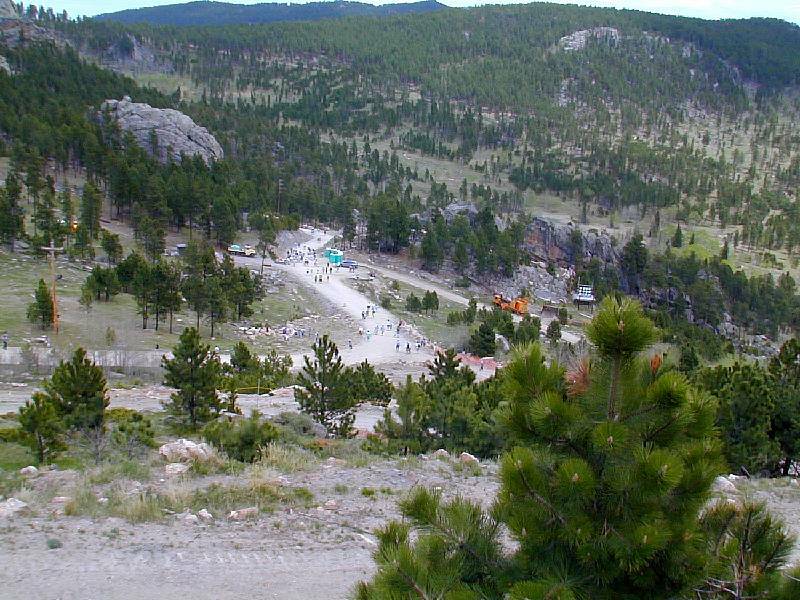 A view looking down to the trail from the top of Crazy Horse Memorial during the Volksmarch on June 1, 2002 in the Black Hills near Custer, S.D. 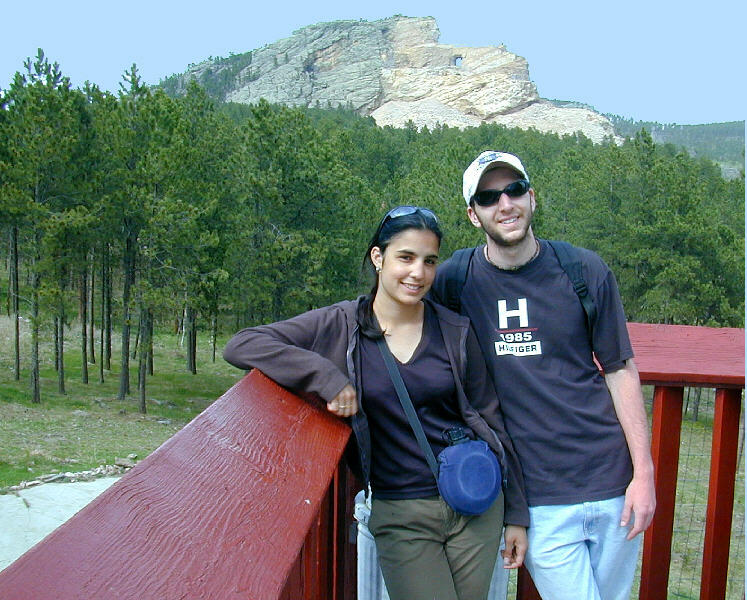 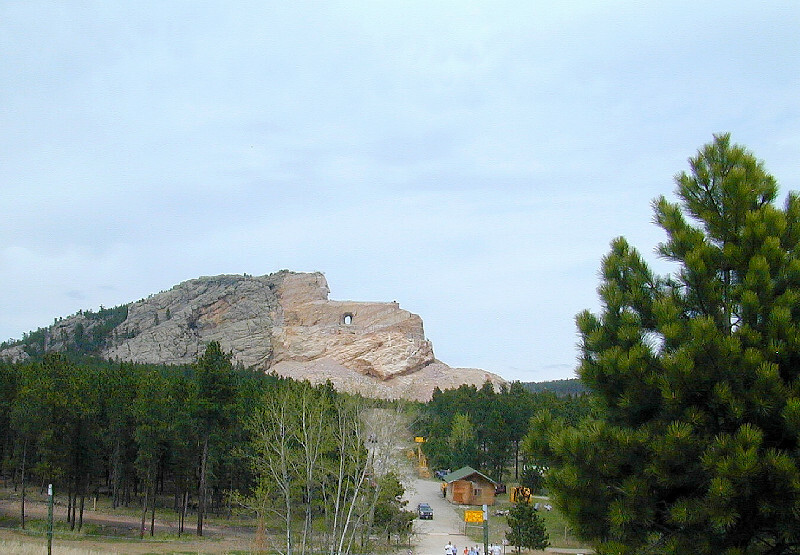 A view of Jen sitting on a rock with the opening under Crazy Horse's outstreached arm near the top of Crazy Horse Memorial during the Volksmarch on June 1, 2002 in the Black Hills near Custer, S.D. 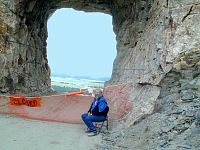 Adam Ziolkowski (one of the son's of Korczak) sitting near the opening under Crazy Horse's outstreached arm near the top of Crazy Horse Memorial during the Volksmarch on June 1, 2002 in the Black Hills near Custer, S.D. 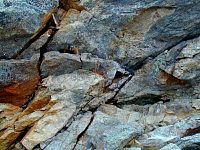 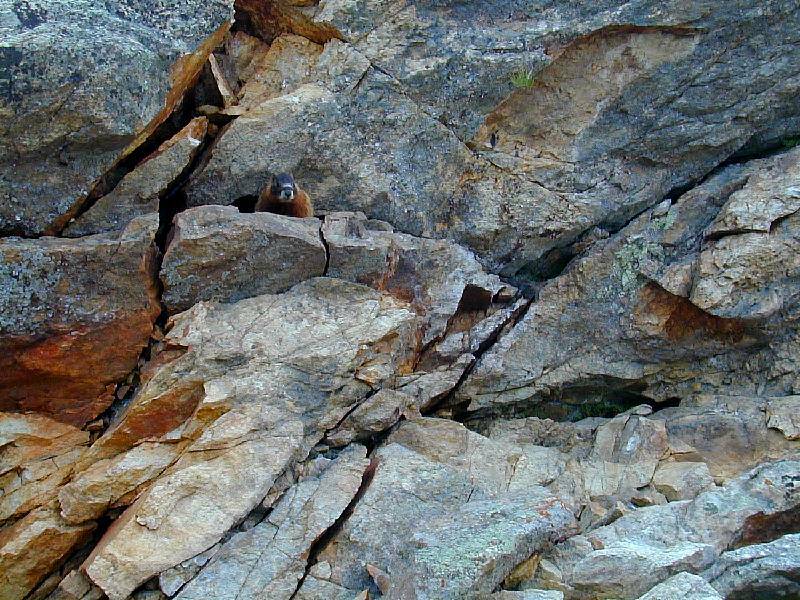 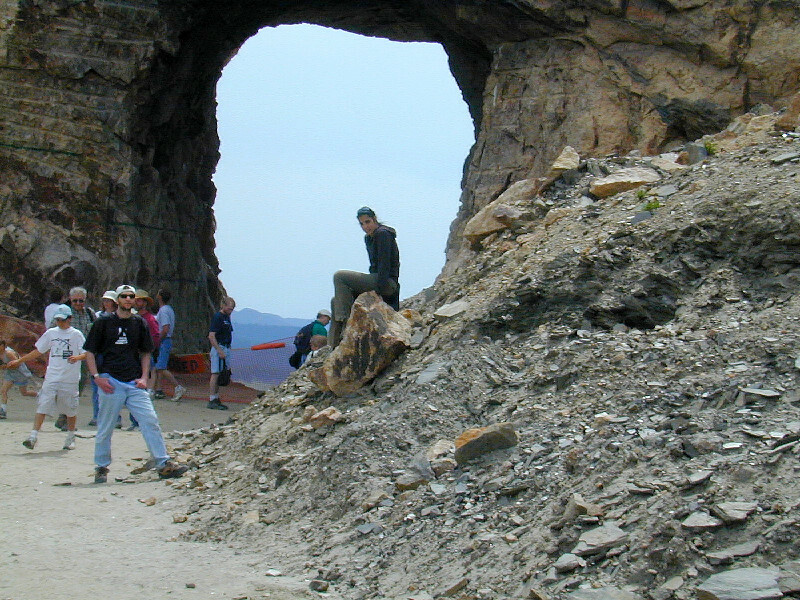 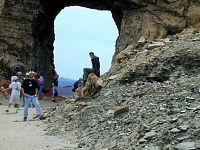 A marmot peeking out from the rocks near the top of Crazy Horse Memorial during the Volksmarch on June 1, 2002 in the Black Hills near Custer, S.D. A view of Crazy Horse Memorial from the trail during our return from the Volksmarch on June 1, 2002 in the Black Hills near Custer, S.D. 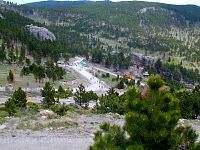 A view of Crazy Horse Memorial (about a mile in the distance) from the Visitors Center parking lot during the Volksmarch on June 1, 2002 in the Black Hills near Custer, S.D. 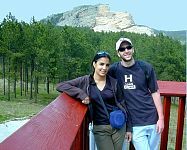 Jen and Joe on the deck of the Laughing Water Restaurant with a view of Crazy Horse Memorial (about a mile in the distance) after completing the Volksmarch on June 1, 2002 in the Black Hills near Custer, S.D.